So, how do you start the process? When you look at properties in your town or city, there are plenty of issues and concerns that can sometimes merge into a listing presentation or a property discussion; some of those issues are the leverage that you need in attracting the focus of the client. You can make a story out of problems and challenges in commercial real estate; the more that you know about your location, the stories will flow to you when you need to attract the attention of a client or prospect. There are always plenty of agents and brokers as competitors in the property industry in your location who are ready to take your clients and listings at the first opportunity. Package your real estate services through deliberate and direct property facts and strategies that the client will find hard to ignore. Winning a listing is not about discounting commissions or marketing costs; the listing process is all about engagement and providing solution based recommendations. If your listing ideas are specifically focused on the current property market conditions, it is easier to engage the client’s thinking. So a prospect or client is looking for certain things in the agent that they choose to market their property. They are also likely to talk to many other local agents as part of getting a comprehensive selection of agents underway, and particularly so for the before listing decisions are made. They want to make the right choices in property promotion. Your job is to make their property challenge easy. Local property market coverage – consider the local area and the primary zone where you will get your listings from. That ‘primary zone’ will be geographic first and foremost. There will be property precincts in the location that can be your focus. In the precincts, you can focus on buildings and streets. There are owners and clients to contact as part of local area coverage and awareness. Create a planned approach to make things work for you in the precincts. When you know your local area, you can talk about properties and locations quite specifically. Tell your clients what you have seen and done locally with property. Strong local brand for the property type – you and or your brokerage will have a ‘brand’ that might give you some advantage in marketing and listing. Use your other listings as leverage in any discussion about property listing enquiry and activity. Have a map of the area where you can show your existing listings to any potential client. The same comparisons can occur with property types. Substantial inbound enquiry – talk about your recent property enquiry, and always track the enquiry in a promotional campaign. One listing will lead to others if you grow conversations and comparisons around listing stock. Tell your clients how you feed enquiry across different locations and listings to ensure that the property enquiry is fully optimised. Excellent marketing methods – any good quality property should be exclusively listed and then comprehensively promoted. That promotion will take vendor paid marketing funds to cover the process. 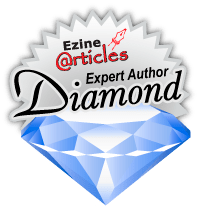 Become an expert in both marketing and campaign coverage; quality is important. Reach out to your property market with high-quality promotional campaigns. Use professional photos and advert layouts to help make your listings stand out both online and offline in any promotional material. Feedback with marketing, inspections, and negotiations – always give plenty of feedback to the clients that you serve with listings. Client conditioning to current market circumstances takes time and strategy; a successful negotiation is the result of client conditioning over time. Be prepared to engage the client a few times each week with listing and promotional feedback. Share plenty of information about the location and the other properties that are in direct competition to the client’s property. Shorter time on market – when you compare your property listings to that of others, how do you rank when it comes to ‘time on market’? Can you say that you are getting positive results sooner and at better prices? Remember that the clients that you serve are looking for results, so be prepared to show them how you get those results. Talk about the numbers and the results. So, all of these things should be used in pitching and presenting your services to a seller of commercial property. The longer that you are in the industry, the easier the process will get. Experience builds confidence and momentum in any broker or agent. 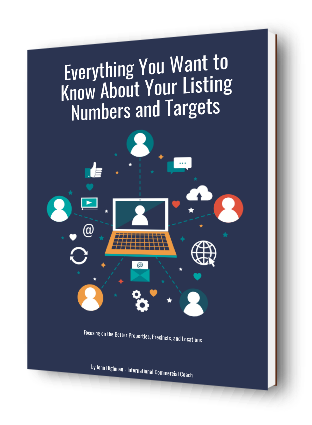 Are you ready to win the listings that are out there? Develop your system and start implementing it each day in reaching out to more sellers in your location. That is the foundation of a good real estate business. Control your listing stock through exclusivity and professional client services.